In September 2016, the largest square rigger in the world will visit the Greek Islands and Turkey for the first time on 7 night sailings from Athens to Istanbul and Istanbul to Athens. This itinerary features visits to Istanbul, Myrina, Skiathos, Skopelos, Poros and Piraeus. Royal Clipper will also offer new 7 night itineraries from Rome to Athens and Athens to Rome, exploring the stunning coastline of Italy, Sicily and Greece in addition to its signature Italy and Croatia Rome to Venice program. Luxury loving passengers can cruise aboard the modern Star Flyer, travelling from Rome to the Aeolian Islands, Sicily and Sorrento. Visit the active volcano of Mount Etna on the east coast of Sicily, explore the ruins of Pompeii near Naples, stroll along the seaside promenade of Amalfi dotted with art galleries, museums and cafés and spend a lazy afternoon in the chic port of Sorrento and it’s unspoilt countryside. For those wishing to explore more of the Mediterranean, there are new 10 and 11 night itineraries including Sardinia, Malta and Tunisia. In late August 2016, Star Clipper will depart on 7 night cruises from Venice, calling at the ancient cities of Croatia, including Dubrovnik, Korcula and Mali Losinj, along with the breathtaking town of Kotor in Montenegro. These cruises are in addition to the ever-so-popular 10 and 11 night sailings from Athens to Venice (and v.v.). Early booking discounts are available and range between 20% and 35% off the regular cruise rates. Prices for the 7 night cruises start from $2389 per person, including a generous 25% early booking saving, with all meals, tea and coffee, entertainment, free water sports, port charges and taxes included. For more details and bookings, call Cruise Express on 1300 764 509 or visit www.cruiseexpress.com.au. Coral Princess Cruises will expand its expedition cruise program to Tasmania from this summer, sailing under its new name of Coral Expeditions (effective 22 June). Continuing the company's pioneering tradition, Coral Expeditions I will be the first cruise ship to sail some of the remote coastlines of the island state. The first of 16 departures embarks 16 November 2015 and the season will run until February 2016. A highlight of the seven night itinerary from Hobart will be two days exploring the pristine Tasmanian Wilderness World Heritage Area at Port Davey and Bathurst Harbour with Coral Expeditions' Parks and Wildlife Ranger. The cruise will also present a different side of the Port Arthur Historic Site on an exclusive 'Behind the Scenes' tour. The site's resident archaeologist will guide passengers through buildings and exhibits not normally open to the public before cocktails in the beautiful surrounds of Port Arthur's Asylum building. With only 46 guests, small-batch food and wine experiences will be a focal point of the Tasmanian cruises. The itinerary includes picturesque Grandvewe Farm to sample its unique sheep milk cheeses and liqueurs and the option to gather berries on Bruny Island. The onboard menu will feature the freshest of Tasmanian produce and local specialties and a wine list showcasing Tasmanian varietals. French luxury and expedition cruise line PONANT has announced an extensive range of European voyages for 2016 - many currently available at 30% savings and no single supplement charges. The PONANT European Collection, released both as a printed brochure and a convenient e-brochure download - http://bit.ly/PONANT-Europe-2016 - features 41 hand-crafted voyages, many including important UNESCO listed World Heritage highlights. The itineraries showcase the crossroads of ancient cultures that have shaped the modern world; a diversity of destinations endowed with layers of history, art, music, architecture and boundless culinary temptations. With over 25 years of European cruising experience, PONANT draws on its heritage to offer guests a range of sailings designed to appeal to regular cruisers, as well as tempting those who have not yet cruised but understand the benefits of relaxed exploration by sea. Enjoy French ambiance on the world's youngest fleet afloat, or sail on PONANT's classic three masted yacht. Either way, experience the difference small ship cruising offers. Venture where large ships simply cannot; experience the thrill of transiting the legendary Corinth canal; moor in intimate bays such as in Hvar and the Cyclades islands; view legendary Mt Stromboli; stroll the walls of Dubrovnik, explore the preserved streets of Valletta and wonder at the Imperial grandeur of St Petersburg. Destinations include Corsica, Spain and Malta, Greece, Croatia and Montenegro, Turkey, Italy, Scandinavia and Russia - often venturing off the main marine highway to explore smaller, less visited ports of call including Elba, Corsica and the dramatic coasts of Ireland and the United Kingdom, Estonia and the Norwegian fjords, with the flexibility of exploring by Zodiac to get even closer to the action. This European Collection of itineraries ranges in duration from 7 nights to 12 nights with pricing from A$3918pp* port taxes included, for a 7 night cruise on board Le Lyrial from Civitavecchia to Athens, twin share in an ocean-view DeLuxe Stateroom with private balcony, deck 3. The PONANT hallmark - French ambiance, fine food and wines (open bar included, of course), intuitive service, indulgent pampering options and renowned design touches, all the while travelling in understated luxury - is epitomised in this collection of European itineraries. Expedition cruise company, Aurora Expeditions, is encouraging budding photographers to act fast to secure their place on an exclusive photography expedition featuring Peter Eastway, AIPP Grand Master of Photography and one of the world’s elite photographers starring in National Geographic Channel’s new ground-breaking documentary series Tales by Light. This unique opportunity will allow photographers of all levels to develop their skills under the eye of one of Australia’s best landscape and travel photographers as Peter guides students through a tailored program of lectures and workshops on essentials camera skills, photographing in the Polar Regions and post-production techniques. Peter will also be on hand on shore to assist with questions and help photographers capture that perfect Antarctic photograph. Joining Peter is award-winning cinematographer Abraham Joffe. As one of Australia’s top DSLR filmmakers, and the creator and cameraman behind the Tales by Light television series, Abraham will share his passion for storytelling and filmmaking, offering workshops and guidance for those interested in cinematography. Photographers can expect to capture Antarctica and South Georgia’s stunning, pristine landscapes and amazing wildlife as they travel to the same locations that Peter and Abraham captured while travelling with Aurora Expeditions during the filming of the final episode of Tales by Light. 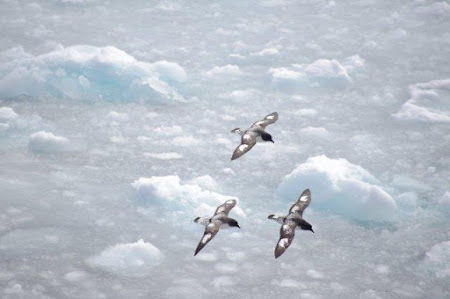 Discover what it is like to stand in front of hundreds of thousands of penguins, see cute seals linger on ice floes and be memorised by seabirds as they glide gracefully in the tailwind. As the days grow longer photographers can expect gorgeous sunsets with hues of pink and icebergs reflecting all shades of blue. Travelling aboard small ship Polar Pioneer, the expedition accommodates just 54 passengers plus a team of expedition experts including naturalists and historians. 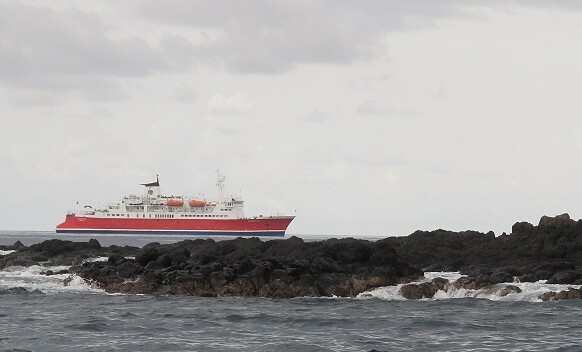 The small-ship experience ensures regular shore excursions for the chance to truly maximise photographic opportunities. Polar Pioneer is supported by a fleet of Zodiacs and crew allowing all photographers to be shooting simultaneously with plenty of room to spare for camera equipment. 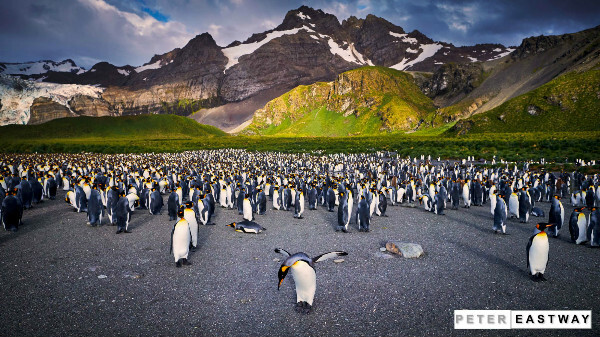 The complimentary photography workshops will be run on Aurora Expeditions’ 18-day ‘Scotia Sea Springtime’ expedition to Antarctica and South Georgia departing Santiago on 21 November 2015. Prices start from US$14,300 per person and include photography workshops, ship accommodation, all meals on board, all guided shore excursions, lectures, a customised expedition jacket and memento photo book. For anyone wanting to get a taste of the Antarctica and South Georgia experience, catch Peter’s episode of Tales by Light on Foxtel’s National Geographic Channel on 28 June 2015 at 8.30pm. Small ship “Saint Laurent" strikes dock. 22 injured. 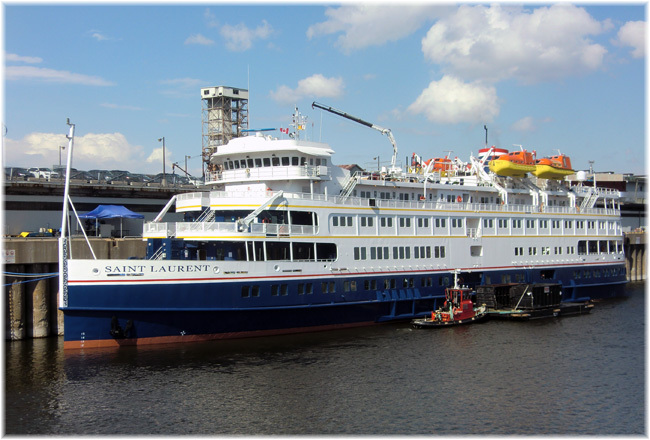 Described by one news source as "a freak accident", the 210-berth Saint Laurent charged into a lock gate protector on the Eisenhower Lock at Massena NY while upbound from Montreal to Toronto. At the time, the ship was operating under charter to Paris-based Rivages du Monde and had on board 192 passengers and 81 crew. FleetPro Passenger Ship Management, managers of the 4,954grt cruise vessel “Saint Laurent,” report that the ship made contact with a concrete approach wall bumper of the Westbound door of the Eisenhower Lock in Massena, part of the Saint Lawrence Seaway system, at 2115 hrs on June 18. "The Bahamas Flag vessel, which was on passage from Montreal to Toronto, was carrying a total of 192 passengers and 81 crew members. The passengers are mainly of French and Swiss nationality. "As a result of the incident, 19 guests and 3 crew members suffered minor injuries and were transferred to Massena Memorial Hospital for treatment. The shipboard doctor was available at all times. 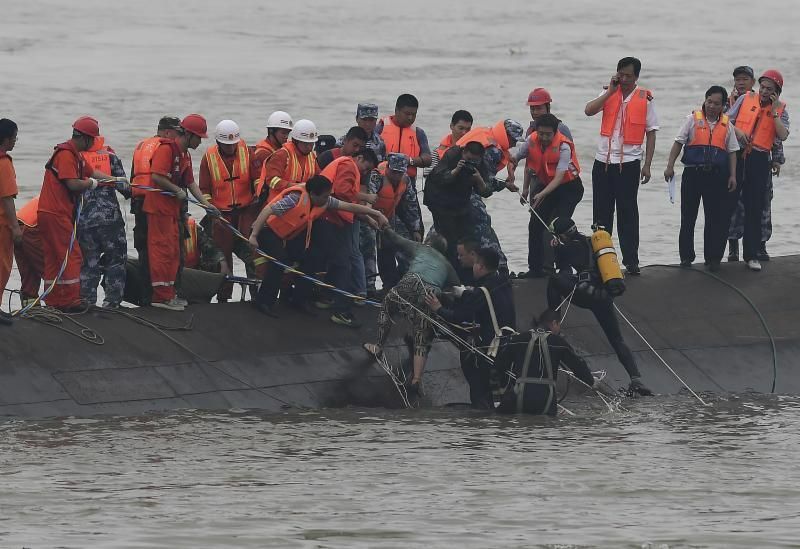 "The vessel remains in safe condition in the lock which is partially drained of water. All shipboard services are fully functional for guests on-board. "A ship inspection team has been appointed by owners and managers and will attend the vessel to assess the damage, which is limited to the bow area, before any attempt is made to move the “Saint Laurent” out of the lock and onto a berth. "At all times, the safety of passengers and crew is the absolute priority and owners and managers wish to thank the US Coast Guard and all the local agencies and emergency services who responded in such a timely and professional manner to this unfortunate incident. "The company will carry out a full investigation onto the events leading up to the allision and cooperate fully with any official investigation." The ship is operated by Haimark Line, which invested more than $3.5 million to refurbish the ship for this summer season. We have asked Haimark for a statement and will provide that when it's received. FleetPro is a veteran group, also managing Silver Discoverer and Silver Explorer for Silversea Cruises. Cairns-based Coral Princess Cruises announced today it will rebrand as Coral Expeditions, effective 22 June. This comes after 32 years of operation under the former name, during which time the company has grown and evolved. The new name stays true to the company's origins as a small ship pioneer on the Great Barrier Reef while updating the company image to reflect its evolution to adventure cruises to the more exotic regions of Australia and the South Pacific. 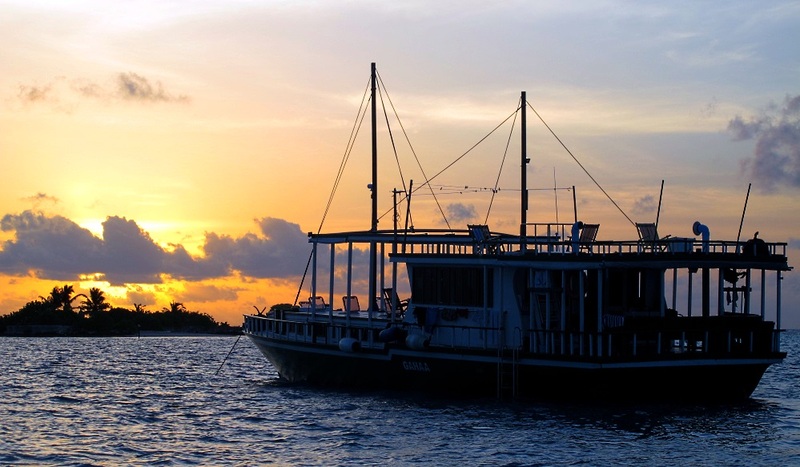 "Coral Expeditions recognises that we are now best known for our coastal expedition itineraries taking small groups of 44 to 72 passengers to remote regions and cultures in Asia-Pacific," said Group General Manager Mark Fifield. Captain Tony Briggs launched the company in 1984 with one converted Fairmile class submarine chaser and it now has three purpose-built ships and several hundred staff. It offers 3, 4 and 7 night award-winning Great Barrier Reef cruises and longer expeditions to the Kimberley, Cape York and Arnhem Land, Papua New Guinea, New Zealand and the South Pacific. 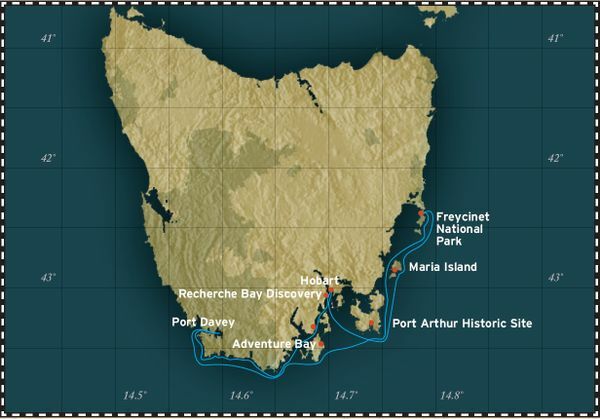 In November 2015, Coral Expeditions will launch its inaugural season of a unique series of expedition cruises along the coastline of Tasmania. Each ship will be rechristened and refurbished in line with the new brand over the next year. Coral Princess will become Coral Expeditions I, Coral Princess II will become Coral Expeditions II and the flagship Oceanic Discoverer will be renamed Coral Discoverer. The new logo has been designed by a Cairns-based artist, Brian Robinson. 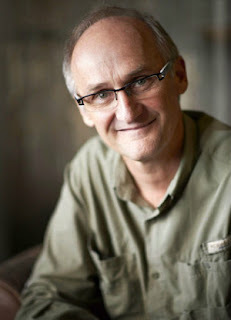 Brian grew up in the idyllic tropical surroundings of the Torres Strait Islands, located between the tip of Cape York Peninsula and Papua New Guinea. His work reflects his knowledge and appreciation of the culture of his people, the myths and legends of the Torres Strait, and the traditional motifs and natural carving ability of the Islanders. "We believe our new logo accurately depicts the spirit of discovery and exploration that embodies our company," said Mr Fifield. "Our hallmarks of adventure, intimate comfort and quality dining delivered in a professional yet relaxed environment by Australian and New Zealand staff will remain at the heart of the Coral Expeditions experience." 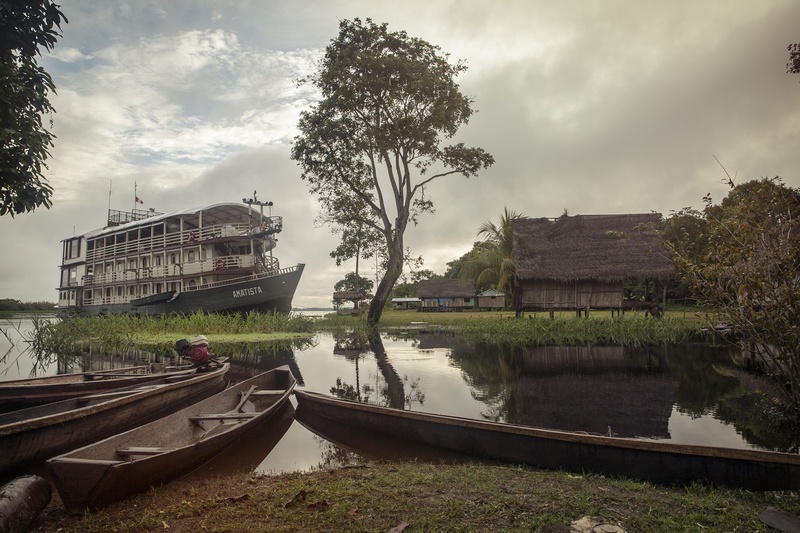 Travellers keen to hop aboard a riverboat and experience the Amazon in style can join this adventure down the Amazon with STA Travel. Led by an Amazon Reserve naturalist guide, the cruise includes daily excursions by motorised skiff designed to reveal the exotic wildlife that calls the rainforest home – with any luck travellers will spot sloths, toucans and pink dolphins. And, with two full days for exploration in Pacaya–Samiria National Reserve, there is the chance to experience the jungle up close. 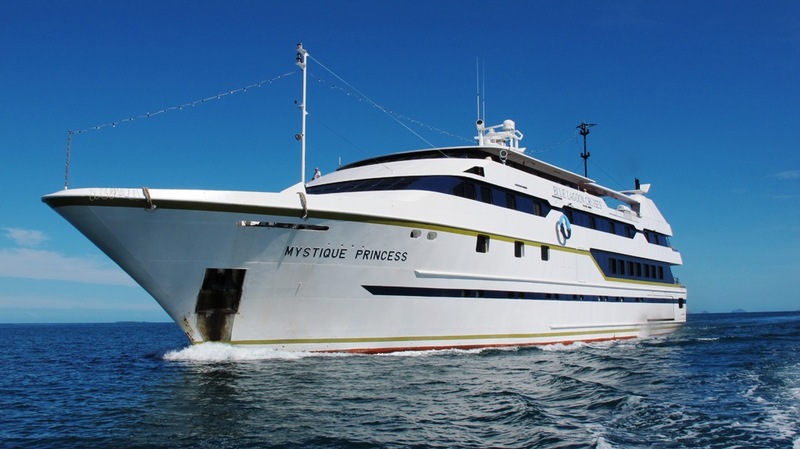 Fiji's premium small ship cruise company, Blue Lagoon Cruises, has announced it is bringing its popular ship Mystique Princess back into service. "Quite simply, market demand dictates that we will very soon need Mystique Princess back on the water to accompany her sister ship the Fiji Princess," CEO of Blue Lagoon Cruises, Peter Duncan, said in making the announcement. He told travel industry delegates and media attending this year's Fiji Tourism Exchange that bookings for cruises aboard the Fiji Princess have increased significantly to a point where the company is already facing capacity issues on quite a number of departures. 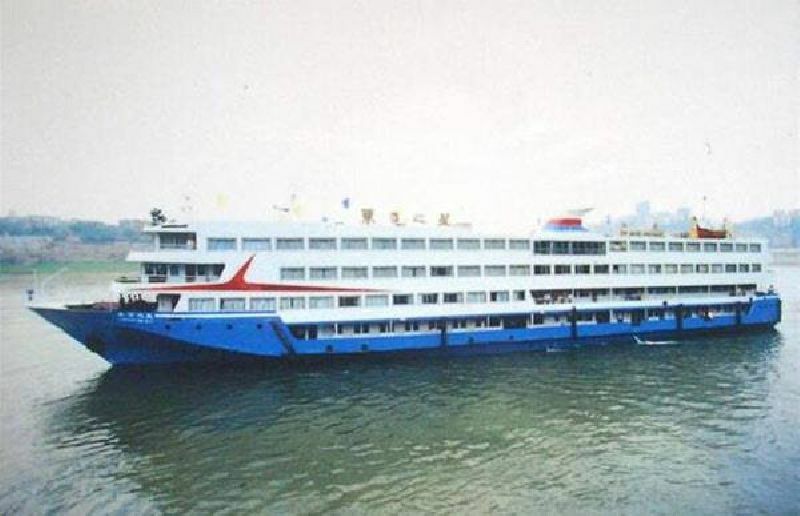 "We are very excited about bringing Mystique Princess back into service to meet this pleasing demand. She will receive a comprehensive refurbishment over the next 18 months and we're aiming to celebrate her re-launch early in 2017." Mr Duncan said concept plans had been drawn up and that Blue Lagoon Cruises would be making further announcements as plans firmed. "At this point, I can tell you the makeover will be a thorough stem to stern that covers all on board facilities, including an all-new décor for passenger cabins and the public areas of the ship." Cruise passengers in Australia, New Zealand and in key northern hemisphere markets are increasingly keen on the style of 'coastal cruising' offered aboard the Blue Lagoon Cruises Fiji Princess, he said. 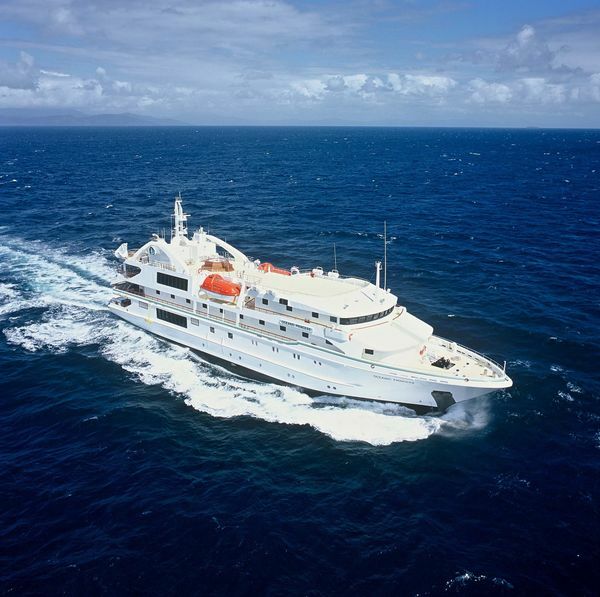 At 55 metres in length and with a capacity of just 68 passengers, the boutique Fiji Princess is petite enough to explore remote islands and bays inaccessible to larger vessels. "We cruise the stunningly beautiful islands of Fiji's Yasawa group and we pride ourselves on showing passengers insights into the Fijian culture. Our all-Fijian on board staff and crew welcome guests as if to their own homes, and through their songs, visits to their villages during the cruise and such aspects as the traditional kava ceremony, they also impart knowledge of their culture." He said part of the increased market demand was inquiry for special charters, such as the United States based Betchart Expeditions charter that departs Port Denarau aboard the Fiji Princess on Friday to explore one of the world's greatest mysteries - the disappearance of the American aviatrix Amelia Earhart. "We know the decision to bring back Mystique Princess will be warmly welcomed by our industry partners in our key markets around the world," Mr Duncan said. "They have worked closely with us over the past couple of years in promoting Blue Lagoon Cruises and the Fiji Princess experience. It's a tribute to the dedication of these people and our staff that we are now in a position to return this popular ship to service." Adventure Canada, experts in small-ship and land-based expeditions to the world’s wildest destinations, is thrilled to announce that bestselling author Margaret Atwood will be joining this year’s Out of the Northwest Passage expedition. Traveling from western Nunavut to Greenland, the expedition takes travellers on a historic route that has enchanted explorers for centuries. Atwood and guests will sail past the towering icebergs of Melville Bay and catch a glimpse of narwhal and polar bears in their natural habitat. The September 5th sailing will be Atwood’s ninth expedition with Adventure Canada, having first traveled with the award-winning company in 2001. Atwood, one of Canada’s most beloved writers and a passionate conservationist, joins Adventure Canada’s star-studded resource staff to share her unique literary perspective and travel tales. An ardent birder, Atwood will also help travellers spot and identify the Arctic’s rare seabirds. 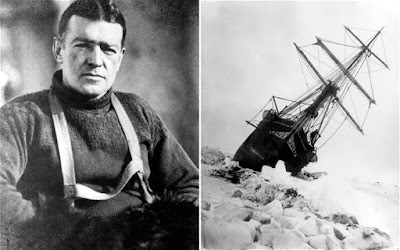 Joining Atwood in the Northwest Passage are a number of special guests, including photographer Freeman Patterson, geologist Marc St-Onge, and historian Ken McGoogan, all of whom are luminary minds in their respective fields and share a deep love for discovery and learning. For more information about sailing with Atwood and Adventure Canada’s Northwest Passage expeditions, visit adventurecanada.com or call 1-800-363-7 566. After two days of snorkelling on colourful coral reefs full of all the common aquarium fish yet all but devoid of predator species, I threw our guide, Teddy, the challenge. "Show me some sharks!" His soft round face, darkened with the constant Maldivian sun, looked back at me. "Okay, I know where we might see some," and he disappeared to have a consultation with Mosa, our captain. That afternoon we arrived at Alimatha Resort, catering to Italians in the Felidha Atoll group, two clusters below Male, where we has flown in the day before. Giovanni at the dive shop advised me that the day dives were not very good due to adverse currents. "You come come back tonight for the night dive." And the deal was done. 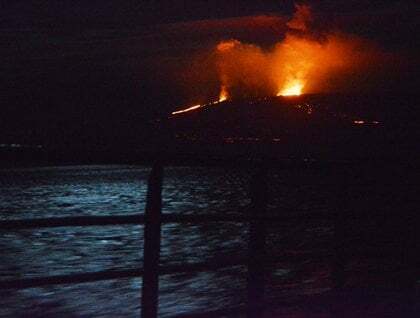 Armed with powerful hand torches we dropped in just a hundred metres or so away from the resort jetty and descended to about a ten metres, a shallow dive by normal standards. 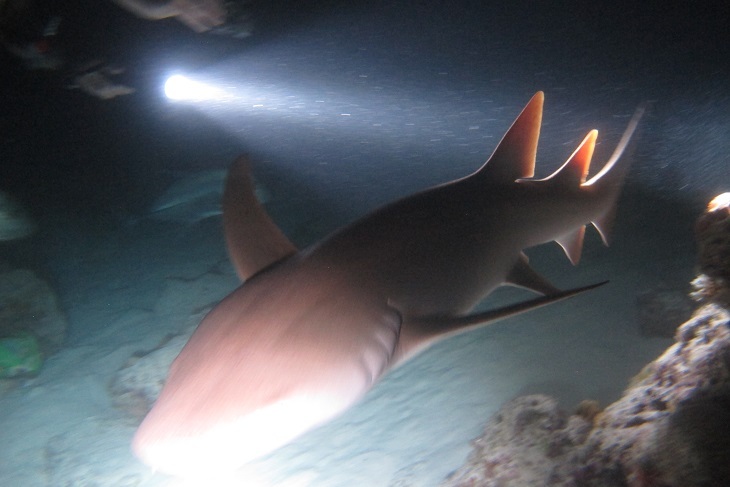 Our torch beams probed the darkened reef and soon the telltale shapes of large sharks appeared in our view. 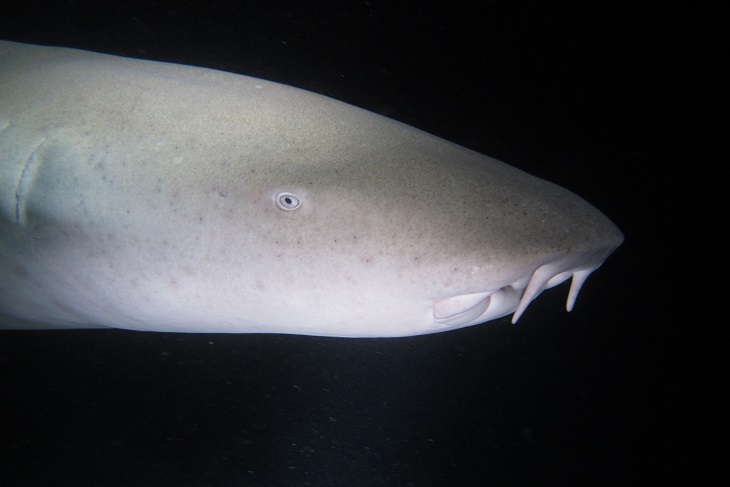 There was hardly any time to define friend or foe and in no time we were engulfed by the pack and surrounded by schooling nurse sharks (Ginglymostoma cirratum), the biggest measuring easily three metres from nose to tail. 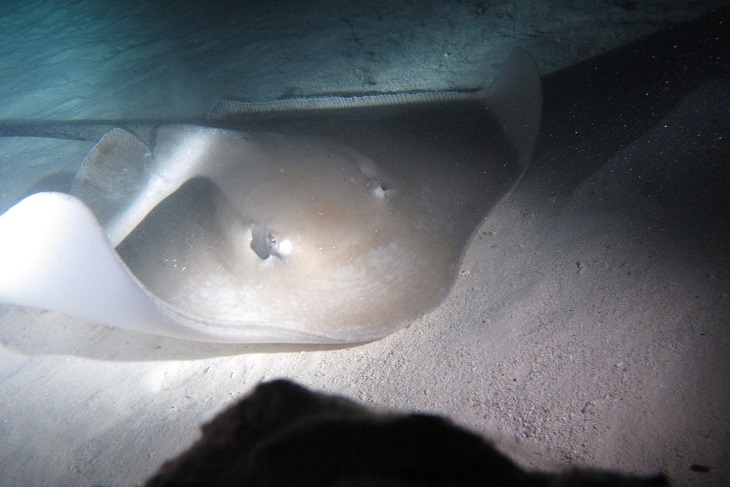 A bold and curious stringray came in close to check us out and wild-eyed giant trevally darted through every gap in the underwater melee. Clearly these brazen animals were familiar with humans in their realm as they nudged us and brushed past, their fins running eerily along the full length of my body. One particularly large beast propped in front of me as if to challenge, his gummy face filling the screen of my camera. In the end, I placed my hand firmly behind his eye and pushed against him before he reluctantly yielded and let me pass. The few black-tipped reef sharks, small by comparison, patrolled the fringes, not game to test their luck in the frenzy that followed us along our path through the reef. Even as we sat on back deck afterwards, a pair of large sharks hung around the stern of our dhoni in anticipation of an evening snack as if to reaffirm my wish ".... you wanted sharks!" From Samurai legends to Hiroshima, discover Japan’s unique history as Silver Discoverer sails through the stunning southern islands on an 11-day voyage. Silver Discoverer departs Kobe, Japan on 11 September 2015 and travels through Japanese waters to Okayama before reaching Takamatsu, where she docks for an overnight stay. Here, guests can satisfy their culinary appetite as they learn to make local cuisine and gain an insight into traditional Japanese theatre as they explore Japan’s oldest surviving playhouse, Kanamaruza Kabuki Theatre. 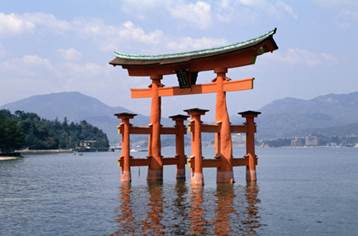 This voyage then travels to Hiroshima where guests can stroll through the Hiroshima Peace Memorial Park, before spending the afternoon on the small island of Miyajima, home to the Floating Torii Gate, one of “The Three Most Beautiful Views” of Japan. Docking at a number of picturesque Japanese islands including Yakushima, Miyako-Jima and Iriomote-Jima, guests uncover the various facets of Japan’s dynamic beauty from its first UNESCO World Heritage Site - the renowned botanical gardens and its pristine beaches to its unique indigenous wildlife of Crested Eagles and Iriomote Wildcats. Silver Discoverer continues her journey to Taiwan, porting in Hualien, a city boasting scores of historical sites, remnants of immigrant villages, traditional temples and tea plantations. This voyage concludes in Taipei Taiwan with guests disembarking 22 September 2015. Prices are per person starting from AU$9,650 in an Explorer Suite based on double occupancy. Silversea Expeditions’ fares include: all shore and Zodiac excursions hosted by an expedition leader; all-suite accommodation with butler service; gourmet meals with menus inspired by Relais & Châteaux; complimentary wines, Champagne and spirits served throughout the ships; an outstanding expedition team of expert guides and lecturers; and all gratuities. Ultra-luxury cruise line, Silversea Cruises is offering guests the opportunity to combine a selection of Mediterranean voyages that sail back-to-back, from September to October 2015. Guests will be able to sail aboard Silversea’s intimate ships for longer, enabling more time to relax and explore this breath-taking part of the world. Karen Christensen, Silversea’s General Manager & Director Sales/Marketing Australasia says that joining Silversea’s Mediterranean voyages is the ultimate indulgence. V2526 & V2527: Departing Civitavecchia (Rome), Italy on the 11 September 2015, guests aboard Silver Windexperience the medieval masterpieces of Italy, the magnificent coastline of the French Riviera and authentic flavours of the Mediterranean over 14 days, before concluding their voyage in Barcelona, Spain on 25 September 2015. Fares start from AU$9,404 per person, based on twin share. V5530 & V5531: Sailing from Istanbul to Piraeus (Athens), guests depart on the 07 October 2015 and cruise through the legends and landscapes of Turkey, hop between the picturesque Greek Islands of Rhodes and Mykonos and uncover the fascinating history of Israel and Cyprus over a 19-day voyage aboard Silver Spirit. Fares start from AU$11,494 per person, based on twin share. V5532 & V5533: Beginning her voyage from Piraeus (Athens), Greece, Silver Spirit guests visit an array of historic landmarks and charming Mediterranean sights including the ancient town of Katakolon (Olympia), Greece, the fortified city of Valletta, Malta and the stunning island of Sicily. This voyage departs on 26 October 2015 and sails over 14 days before concluding in Barcelona, Spain on 9 November 2015. Fares start from AU$8,644 per person, based on twin share. To enhance Silversea’s 2015 Mediterranean all-inclusive pricing, guests are able to take advantage of included Silver Shore Select excursions, which are offered in every port of call, as well as complimentary access to two hours of Wi-Fi per day, and unlimited Wi-Fi in premium suites (Medallion and higher categories). APT is offering free return economy flights to South America, including taxes of up to $200 per person, when you book the 24-day Buenos Aires, Ushuaia & 20-night Antarctica Cruise departing 26 February 2016. Priced from $22,545 per person, twin share, you’ll enjoy a luxury hotel stay in Buenos Aires before transferring to Ushuaia for a night to receive your pre cruise orientation and briefing. 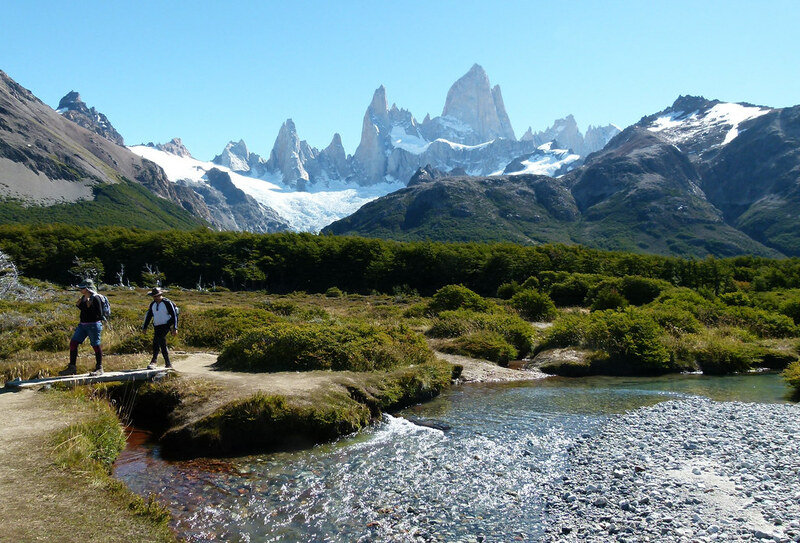 Then embark on a 20 night voyage to the Antarctic Peninsula, South Georgia and the Falklands Islands before spending a final night in Buenos Aires. Sailing aboard APT’s specially equipped polar expedition ship, the MS Sea Explorer, you’ll cross the Drake Passageto the northernmost part of Antarctica’s mainland to spend three days exploring the South Shetland Islands. Wildlife spotting opportunities include several species of penguins and seals, orca, humpback and Minke whales. There is also the option to try sea kayaking amongst the icebergs. The cruise may also stop at an active scientific base as well as historic base such as the UK’s Port Lockroy or Wordie House. Then cruise to South Georgia to see large elephant seals, walk amongst thousands of iconic king penguins, explore the abandoned whaling station and visit the grave of the explorer, Sir Ernest Shackleton. On the Falkland Islands you’ll see albatross breeding colonies, visit charming towns, including Stanley, and meet locals during a visit to a farming homestead. Included are 62 meals, shore excursions, flights within South America, three nights luxury accommodation, beer and wine included during lunch and dinner on your cruise, wet weather gear and expedition boot rental, APT Tour Directors and expert local guides, an Expedition Team and Doctor during the cruise and tipping, porterage and transfers. 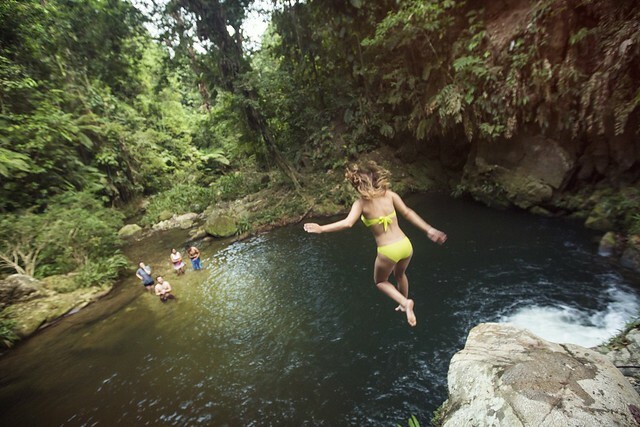 Book now and you’ll receive international airfares with LATAM Airlines free of charge (including taxes of up to $200 per person), a saving of up to $5,600 per couple. Offer is available until sold out. Terms and conditions apply and offer is subject to availability. Specialist in small ship adventure cruises, One Ocean Expeditions (OOE) has released its new programme of voyages in the Canadian Arctic for the Arctic 2016 season. 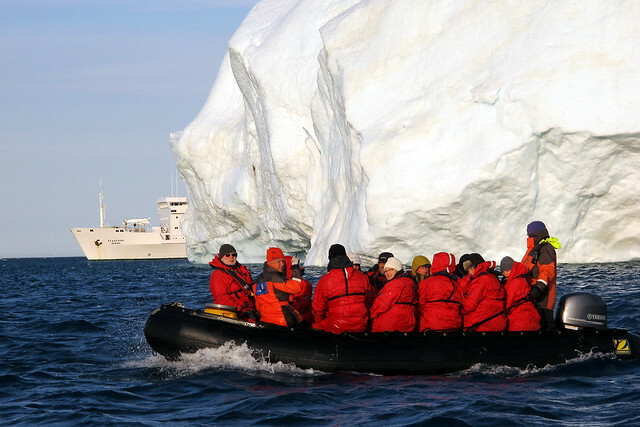 They include two different routes along the Northwest Passage, a brand new trip to Baffin Island, plus early booking discounts and some of the most competitive flight prices available to the Canadian Arctic at just US $1200 per person return during 2016. As a partner in the Victoria Strait Expedition in summer 2014, participating in the successful search for HMS Erebus, OOE has created these itineraries for adventure and wildlife enthusiasts alike. G Adventures, the leading small-group adventure tour operator, has announced an early booking bonus for travellers looking to secure their place on an Arctic expedition in 2016 or an Antarctic expedition in 2016/17. Arctic Trips, Realm of the Polar Bear and Realm of the Polar Bear in Depth, which both explore the stunning Svalbard Archipelago, are reduced by 15% when booking before 30 June 2015 on selected trips, which represents a saving of up to $1,597 (in a Category 5 Cabin). 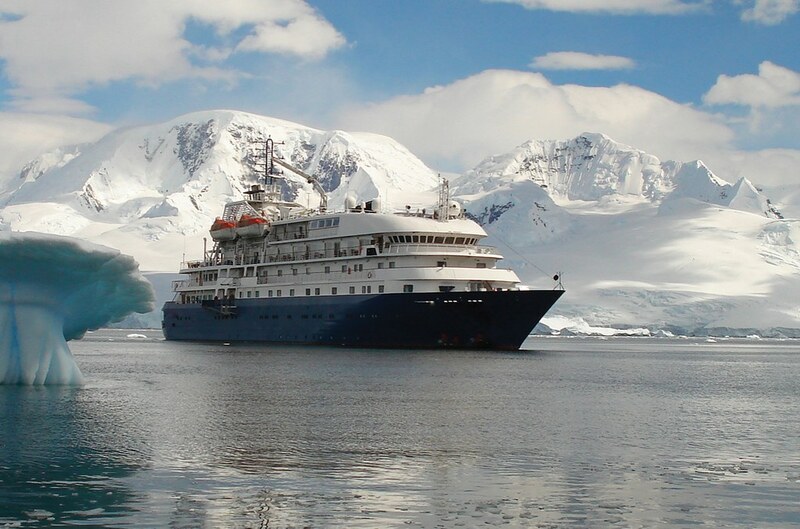 Selected G Adventures' Antarctica Classic, Antarctica Classic in Depth and Falklands, South Georgia and Antarctic Islands trips, which all explore the regions at the bottom of the world aboard the MS Expedition, are reduced by 10% when booking before 30 June, 2015. Perfect for first time or seasoned travellers, trips aboard the MS Expedition to the Arctic and Antarctic will present budding photographers with a unique opportunity to take in breathtaking glaciers, saw-toothed mountains, colossal icebergs, fields of ice that stretch on forever and, for those travelling to the Arctic, Polar bears in their natural habitat. 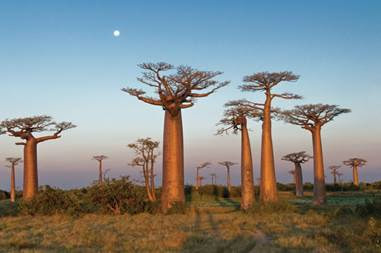 With a dedicated photography programme included in the itinerary, travellers will be sure to capture every moment. The Antarctic programme has proven extremely popular amongst Australian and New Zealand travellers who now make up over one third of the company's global sales to these regions, explains Belinda Ward, Managing Director for G Adventures Australia and New Zealand, "All of our travellers come back having had a once-in-a-lifetime experience aboard the MS Expedition so we'd love to get even more Aussies and Kiwis down to this stunning part of the world. 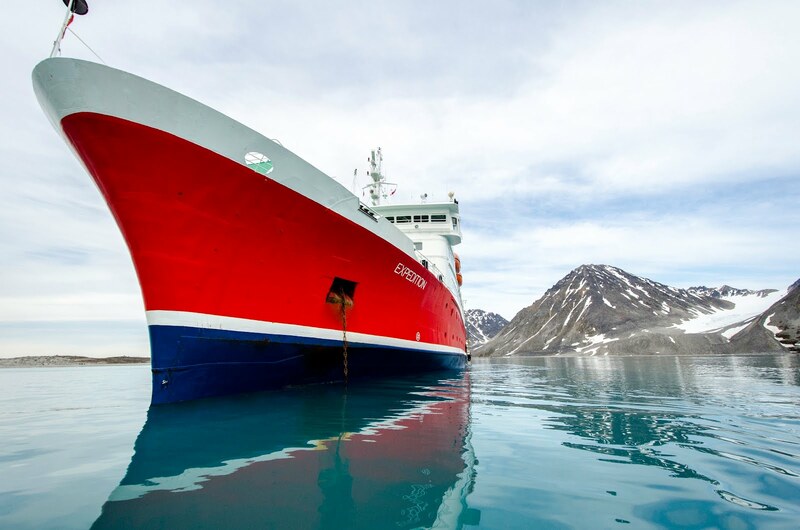 Also, we'd love to get them exploring further afield and our Arctic Early Booking Bonus presents fantastic opportunity to explore the stunning landscapes around Svalbard." G Adventures have also added another departure for the hugely popular Spirit of Shackleton trip that sold out in 2015. The trip explores the Falklands and South Georgia, allowing travellers the opportunity to see King Penguins in their natural habitat. 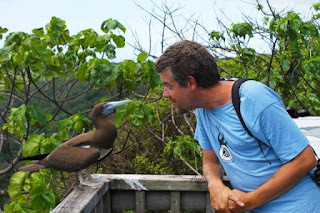 G Adventures' expeditions on board the MS Expedition include an expert team of specialists including ornithologists, marine biologists, and a photographer to make sure travellers get the perfect shot. To receive the saving on all categories on Arctic trips, travellers must quote 'G15ARC15EBB', while travellers wanting to receive the saving on Antarctic category 3, 4 and 5 cabins only, must quote the promo code 'EBB15ANTARCTICA10' at time of booking*. 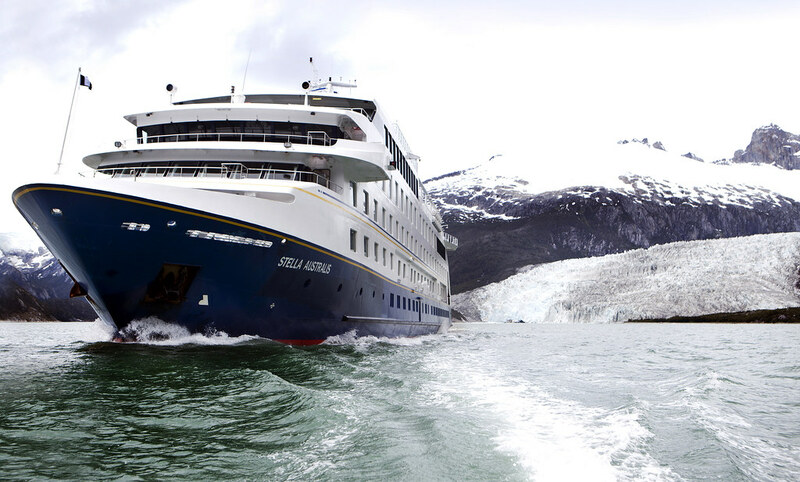 G Adventures has announced a new cruise itinerary sailing the coast of South America from Ushuaia, Argentina to Cartagena, Colombia, on board G Expedition. The trip visits 21 ports in six countries – Argentina, Chile, Colombia, Ecuador, Panama and Peru – and includes a three-day land-based trip to visit world wonder Machu Picchu. 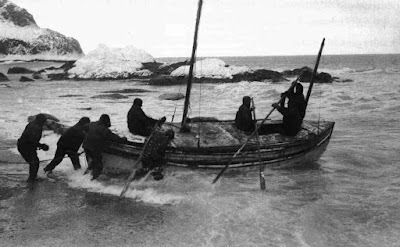 The entire voyage is 38 days in total, with travellers with less time able to join sectors of the trip for as few as 12 days. Highlights of the trip include a Chilean rodeo, barbecue and wine experience in Punta Arenas, as well a visit to the Copiapó mine where “Los 33” were trapped and rescued after 69 days in 2010. There is also an optional fly-over of the ancient Nazca lines in Southern Peru, a three-day, land-based trip to Macchu Picchu, the opportunity to traverse the Panama Canal, and relax on the idyllic San Blas Islands in Panama, of Microsoft Windows 95 wallpaper fame. Brian Young, managing director, G Adventures, says the new trip appeals to those who want to get a taste of all South America’s west coast has to offer, from wildlife and scenery through to culture, people, history and food. “This itinerary has something for everyone, whether they are enjoying the full 38-day voyage or one of the shorter segments. The beginning of the trip is very wildlife focussed and by the time you get to Panama and Colombia it’s all sun, sea and culture,”says Young. The full 38-day trip departs Ushuaia on March 21, 2016, with disembarkation / embarkation ports at Valparaiso (for Santiago) in Chile and Guayaquil in Ecuador. 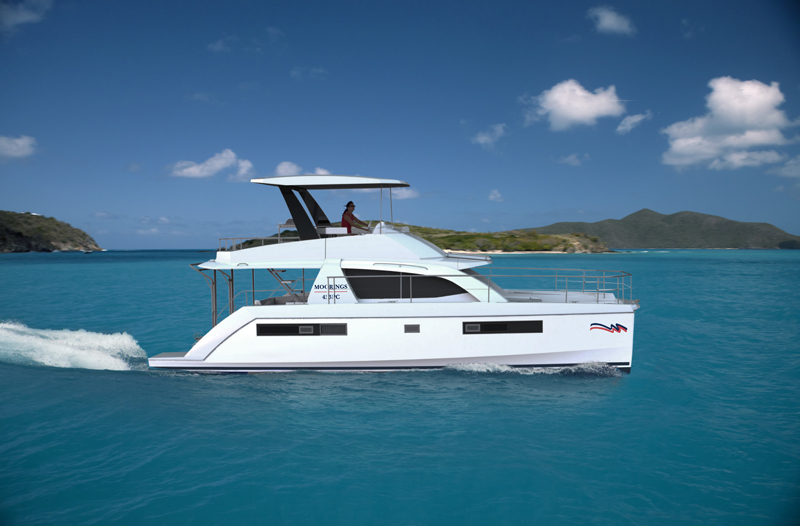 This November, the world's premier yacht charter company, The Moorings, will debut its newest power catamaran, the Moorings 433PC, at its flagship base in the British Virgin Islands. Built in collaboration with renowned boat builders Robertson & Caine, and following on the sell-out success of the larger 514PC, the 433PC is the next progression in the company's innovative power catamaran fleet. From her hull design to interior layout, every detail was crafted with the evolving needs of today's power charterers firmly in mind. The stepped hull design of the 433PC provides 27% more interior volume than her predecessor, The Moorings 393PC. This allows customers to enjoy superior performance and efficient fuel consumption consistent with all Moorings Power yachts. Inside, guests will discover a spacious air-conditioned saloon, redesigned with a brand-new layout for the model range. A well-appointed galley now sits forward with a forward-facing settee/table located aft. Oversized windows provide panoramic views, allowing guests to take in the sunset or savour the ever-changing scenery while cruising. Large sliding glass doors open to the aft cockpit, which offers u-shaped seating around a communal dining table. The saloon door to the foredeck, a signature feature of The Moorings' newest catamarans, acts as a breezeway to the interior while at anchor. This seamless fusion of indoor and outdoor living provides increased ventilation and easy communication between all guests aboard. With power from solar panels and a 9kW generator, the 433PC houses a full range of electronics including a state-of-the-art Raymarine instrument package, indoor/outdoor stereo system with Bluetooth and USB connectivity and a flat screen TV/DVD player. Below deck, the 433PC features a spacious master suite that fills the entire starboard hull with ample storage and counter space, a large double bed and a full private bathroom. In the port side hull, two double staterooms share an additional private bath. By converting the saloon settee and drop-down table into a bed, the yacht can sleep up to eight guests. Outside, guests can relax on the 433PC's spacious fly bridge, which offers 360-degree visibility complete with ample seating, a grill, wet bar and a cushioned sunbathing platform located forward. The fully equipped helm station controls the yacht's twin 260hp diesel engines, providing comfortable cruising speeds and easy handling in a variety of conditions. "Time at sea is best enjoyed with others, so we focused on creating a yacht that really brings that social aspect of chartering to life," said Josie Tucci, General Manager of The Moorings. "Whether you're voyaging with family or friends, the 433PC is designed to let everyone share in each unforgettable moment aboard. 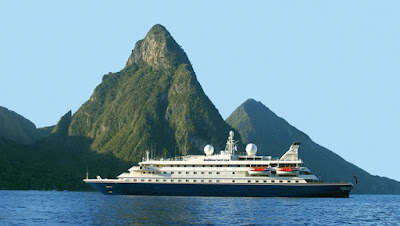 Combined with a picturesque setting like the Caribbean, this is quite an extraordinary way to holiday at sea." The Moorings 433PC will make its global debut at the Fort Lauderdale International Boat Show November 5-9. Reservations are available now with departures starting from the British Virgin Islands in November. 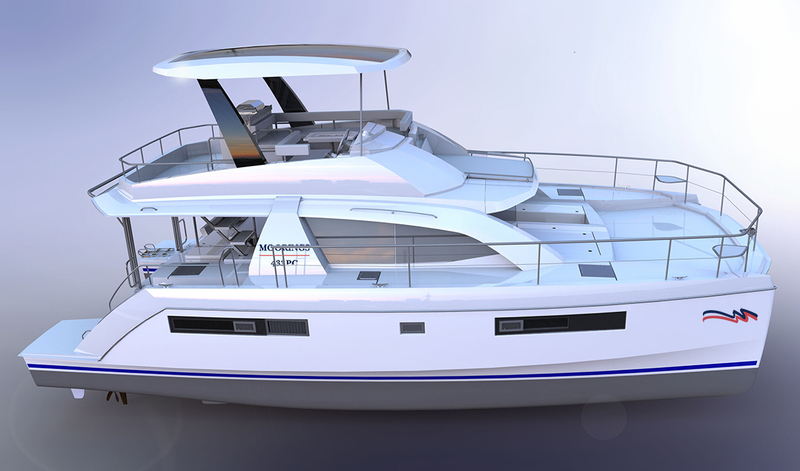 The four-cabin model, the Moorings 434PC, will debut in Thailand this December and additional Mediterranean destinations in the spring. The Moorings, the world's premier yacht charter company, has delivered unmatched quality, service and attention to detail since 1969. Top of the line sail-it-yourself bareboat yachts, all-inclusive luxury crewed yachts with captain and chef, and innovative power yacht charters are available throughout the world. For more information visit www.moorings.com.au or call 1800 553 720.